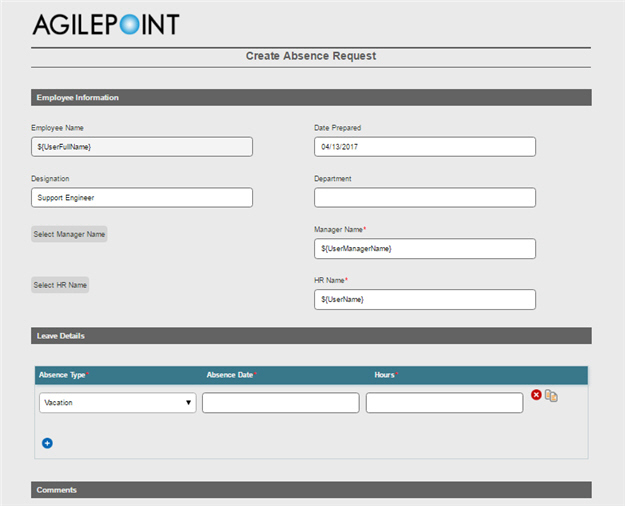 To start an example absence request process with an eForm, do the procedure in this topic. When you complete this example procedure, the finished eForm will look like this. On the eForms tab, drag the Start Task (eForms) activity onto your process. 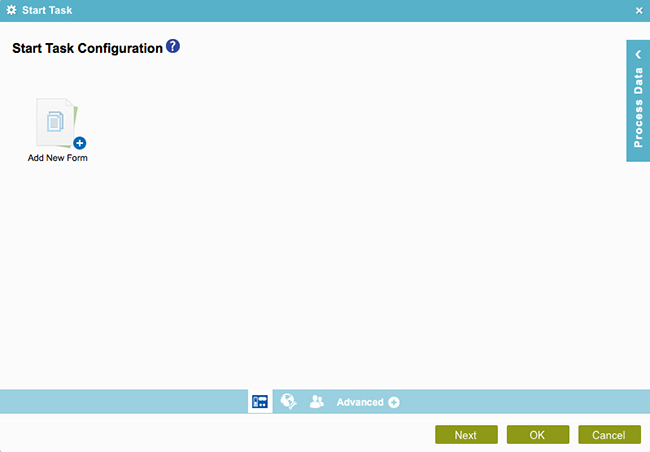 On the Start Task Configuration screen, click Add New Form. 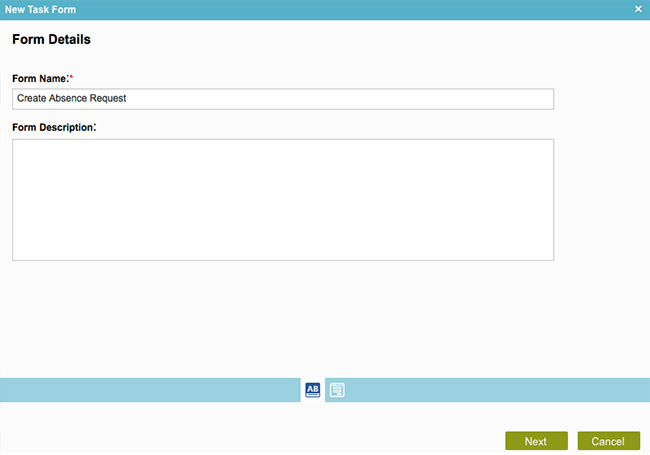 On the Form Details screen, in the Form Name field, enter Create Absence Request. 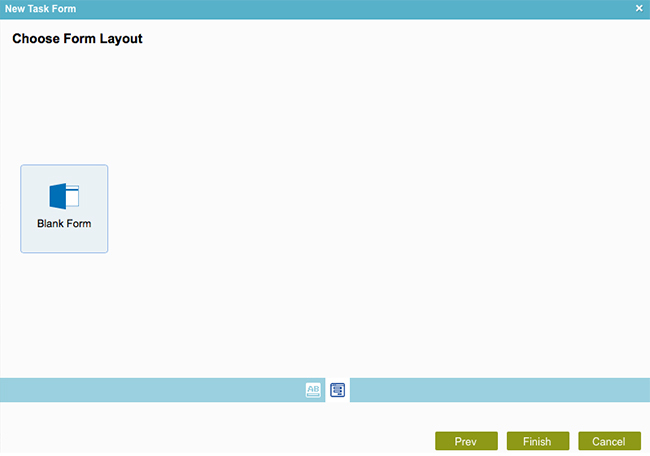 On the Choose Form Layout screen, click Blank Form. 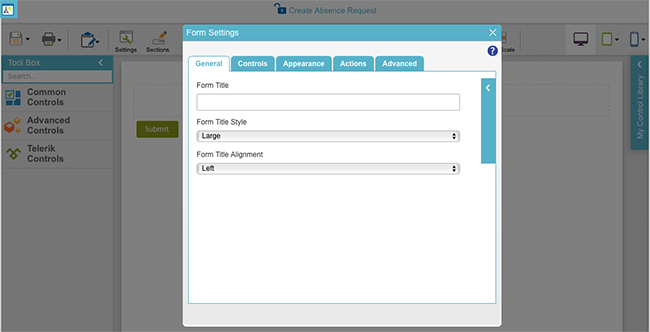 The eForm Builder shows the Form Settings screen for your new eForm, Create Absence Request.